When it comes to policy, culturally mature perspective rarely tells us exactly what we should do. But what it does do is ultimately more significant: It provides basic principles that can reliably guide us in making decisions. And it alerts us to when our thinking will almost surely lead to unhelpful outcomes. Efforts to address conflict in the Middle East provide a good example. Few current areas of policy confront us with realities that so often confuse and disturb. We encounter beliefs that can make no sense to people in the modern West (how is it that someone could chose to be a suicide bomber?). Deeply embedded historical animosities, often based on what may seem to be minor differences, can make mutual understanding nearly impossible (the most familiar example being the conflicting allegiances of Sunni and Shia Islam). And the common lack of clear allies and enemies, combined with realities that can change in rapid and unexpected ways, means that the most well-meant of actions can end up doing more harm than good. It can seem crazy that we attempt to intervene in the first place. Yet just turning our backs is no more a solution—especially now with the growing prevalence of terrorist attacks outside the Middle East. 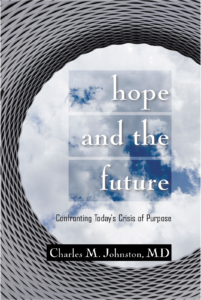 In an earlier post (The Crisis of Gun Violence: Appreciating the Challenge—and Importance—of Culturally Mature, Big-Picture Perspective), I emphasized how culturally mature policy almost always requires getting beyond “silver bullet” solutions and taking into account multiple, interplaying causal factors. The challenge of Middle East policy highlights a further kind of systemic complexity that we must consider almost any time an issue involves global relationships: the cultural stages of parties involved. Thinking in terms of cultural stages is appropriately controversial. Historically, it was used to justify the worst excesses of colonialism (the peoples of Asia, Africa, and Central and South American were seen as “children” who needed adult guidance). Such thinking can translate into a rationale for racism. But this danger acknowledged, it is also the case that ignoring the developmental aspect of cultural differences easily results in decisions that are not just naïve, but potentially calamitous. Avoid reactive polarization: Culturally mature perspective helps us leave behind polarized “us-versus-them” thinking. As illustration of progress in this regard, I’ve used the degree to which the modern West has avoided responding to events such as the 9/11 terrorist attack by creating a war between civilizations (see An End To War As We Have Known It.”) But we have not wholly avoided such polarization. Arguably, this kind of reactive response contributed to the instigation of the second Iraq War (remember the “Axis of Evil”). We must take particular care as we go forward. The challenge is amplified by the inherent asymmetry created by cultural stage differences. We face the “unfair” reality that if we bring needed systemic maturity to bear, it is rarely going to be met by a parallel maturity from those who might see us as enemies. To expect otherwise is to undermine our own ability to act wisely. Recognize that stage differences affect perceptions: Stage differences affect us at deeper levels than just the ability to get beyond “chosen people/evil other” belief. We can draw again on the second Iraq War for illustration. U.S. leadership at the beginning of the war assumed that the people of Iraq would celebrate western forces as “liberators” and that the war could be over quickly. These assumptions would be naïve in most any context, but they become especially misguided given Iraq’s stage in culture. Creative Systems Theory describes how cultural identity is particularly tied to a felt sense of control at this stage. Incursion by others, even if it could potentially provide benefit, is thus especially unlikely to be viewed positively. Specifically pertinent to the assumption that we might get out quickly, we also commonly find a capacity for prolonged, intractable struggle at this stage. Another critical stage-related factor relates to how U.S. and Western European forces in particular were predictably going to be perceived as a function of their cultural stage. We can assume that the individuality and materialism that defines modernity is something that others will want to emulate. But viewed from the vantage of Iraq’s cultural stage, they are as likely to be perceived as the embodiment of evil (such as with descriptions of the U.S. as the “Great Satan”). When you add these multiple factors together and the belief that invading forces would be celebrated and triumph quickly becomes obviously unwarranted and hubristic. Bring evolutionary perspective to formulating desired outcomes: Culturally mature evolutionary perspective alerts us to how different governmental approaches work best at different culture stages. We can make the error of assuming that the correct goal in the Middle East is the establishment of democratic governmental forms. But, in fact, prior to modern times, more authoritarian forms of governance often work best (as we saw in the Middle Ages with kingly rule). With this recognition, how we evaluate circumstances changes considerably. If a more authoritarian form is more timely, the appropriate question may become not how best to support democracy, but what kind of more authoritarian option is likely to produce the greatest stability and long-term well-being. (Think of how the generally benevolent dictatorial leadership of Marshal Tito effectively kept order amongst the former Yugoslavia’s diverse ethnic groupings.) With the Arab Spring, we saw dynamics playing out at an awkward in-between point between more authoritarian and more representative governmental structures. It is legitimate that we support evolution toward more representative forms, but to support this kind of evolution usefully we need to get beyond the idealizing of democratic structures and recognize how each approach has its time and place. Formulate alliances and goals systemically: Given this complex picture, just how do we best think about strategy? Two questions present themselves: First, how do we choose with whom to ally? And second, what precisely is our goal—what ultimately do we want to achieve? The question of allies confronts us with how we rarely find clear “good guys” and “bad guys.” In addition, local alliances can shift in sudden, contradictory-seeming ways. The best general principle is to ally with those most capable, given the cultural stage, of supporting plurality, of bringing the widest possible involvement to decision-making. Note that while this is consistent with the underlying values of democracy, it is not at all the same as advocating democratic determination. That phrase “given the cultural stage” is key. The question of goals confronts us with how endeavoring to win in a traditional sense will either fail or require long-term occupation to be of any consequence. And win or lose, our actions will play into the recruiting efforts of terrorists. The needed redefinition takes us to where we always must start when making culturally mature decisions—what Creative Systems Theory calls the Question of Referent. The needed more systemic referent combines our own safety long-term (the homeland security piece), and the overall well-being of the populations involved. Certain actions, such as protecting refugee populations, will almost always be consistent with this objective. Other times, it may be decisive military action that is most called for. Judging what will ultimately benefit will always require careful weighing of multiple variables and nuanced attention to changing circumstances. Think creatively about social boundaries: The next principle has as much to do with history as it does cultural stage, but cultural stage does affect what becomes possible. In modern times, we tend to idealize the nation state and assume that stability within established national boundaries is what we should strive for. But this doesn’t necessarily apply in the Middle East. Most current nation-stage boundaries were established in colonial times and reflect more the needs of the colonizers than those of the populations involved. The imposed boundaries commonly included cultural groupings that historically had been at odds, and these boundaries often remained intact after the end of colonialism only because of authoritarian rule of a particularly repressive sort. In crafting policy, we always need to ask whether attempting to establish shared rule between conflicting parties is an appropriate objective. Very often it is. When diverse peoples have come to live in new relationships, attempting to establish boundaries that better reflect historical interests can result in more harm than benefit. But we should not assume that partition and the establishment of new boundaries is somehow inherently wrong. It was key, for example, to finding new order with the collapse of the former Yugoslavia. Appreciate limits to what may be possible: Note that making use of any of these guiding principles requires a new maturity in our relationship with limits—something we find with culturally mature leadership whatever the context. Necessary limits provide a simple way to summarize these guiding principles. Avoid reactive polarization: With polarized us-versus-them thinking, we assume that the other is an enemy to be defeated and that with enough might, victory can be achieved. We miss the fact that military victory, even if it is achieved (and with some of the dynamics I have noted, even just winning militarily can be much more difficult than we imagine), winning is only a first step, and it is the easiest (as the old saying goes, “if you break it you buy it”). Recognize that stage differences affect perceptions: Appreciating that the world looks very different through the eyes of people at different cultural stages helps us understand how actions that might seem obviously right to us may have effects opposite to those we might desire. It also helps clarify essential pieces of the strategy puzzle—for example, how the most powerful weapon for fighting Islamic terrorism in the long term will likely be the willingness of the larger Islamic population to speak out against it. Bring evolutionary perspective to formulating desired outcomes: Recognizing that the most appropriate form of government evolves with cultural stage requires that we get beyond thinking of representational government as an ideal and end point and that we appreciate limits to what, in a particular context, might be possible—or desirable. Formulate alliances and goals systemically: Not only does formulating alliances and goals requires that we think more complexly, it requires that we accept limits to usual notions of what constitutes an alliance or a goal. We have to conceive of associations and actions in fundamentally more complete and dynamic ways. Think creatively about social boundaries: Effectively addressing boundaries again requires that we recognize that pursuing what might seem most right and ideal to us may in fact get in the way of useful outcomes. Emphasizing the fact of real limits to what may be possible is not at all to propose that we should hesitate to act forcefully when decisive action is call for. It does alert us to the importance of greater maturity of discernment if our actions are to provide long-term benefit. In proposing in The Crisis of Gun Violence post that culturally mature policy most always requires that we get beyond simple-answer thinking and take into account multiple systemic variables, I also noted that these variables often require that we think in new—indeed fundamentally new—ways. The need to take cultural stage differences into account if our decision-making is to be at all wise makes a particular important example. We can’t stop with the kind of historical thinking that results in felt superiority and that can be used to justify racism. But we do need to be able to appreciates how human system grow and evolve. We benefit greatly by going beyond the broad historical parallel I’ve drawn on here and making finer developmental discriminations. One of Creative Systems Theory’s contributions is that it provides a detailed framework for understanding how cultures evolve, and the changes in worldview that characterize each cultural stage (see Patterning in Time). To keep making such finer distinctions simple, we can use parallels with points in European history. For example, while modern Iraq reflects considerable diversity, it helps to make more specific analogy developmentally with thirteenth to sixteenth century Europe. The analogous parallel for Afghanistan is seventh to tenth century Europe. 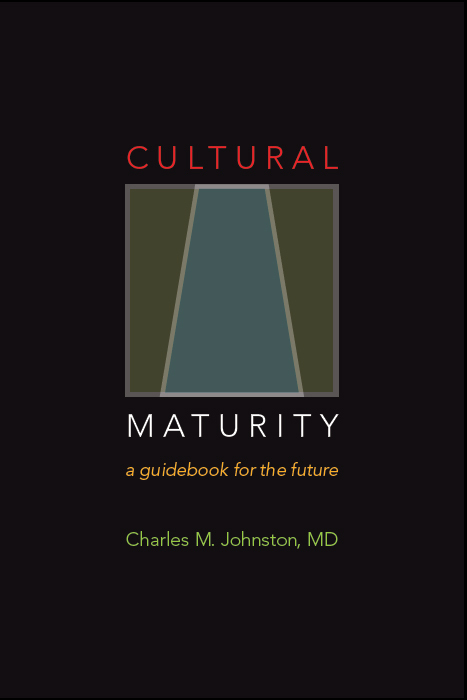 (In Cultural Maturity: A Guidebook for the Future I describe how the fact that the developmental realities that we find at different places in the Middle East are not the same has essential implications for policy.) Given that I’ve made reference to the former Yugoslavia for comparison, I should note that there the appropriate analogy would be to fifteenth to nineteenth century Europe (which points toward the important recognition that we can’t just assume that what worked there will work in other places). My next post—I will call it “Common Sense 2.0″—will have what might seem an almost opposite focus to this one and the last. I’ve been giving particular attention to the need to think more complexly—and often to think complexly in some fundamentally new ways—if we are to effectively address emerging policy challenges. In Common Sense 2.0, I will clarify how, at the same time, culturally mature perspective makes how we understand in an important sense simpler and more straightforward. You will see how, when we bring more of our own cognitive complexity to bear, we become capable of a new, more mature—one could say wise—kind of common sense.